Welcome to the Black Triangle, New York's decadent district of opium dens, gambling casinos, drunken sailors, gaudy hookers, and back-room abortions. The queen of this unsavory neighborhood is Black Lena Shanks, whose family leads a ring of female criminals - women skilled in the art of cruelty. Only a few blocks away, amidst the elegant mansions and lily-white reputations of Gramercy Park and Washington Square, lives Judge James Stallworth. On a crusade to crush Lena's evil empire, the judge has sentenced three of her family members to death. And now she wants revenge. One Sunday, all the Stallworths receive invitations - to their own funerals. Can even the wealth and power of the Stallworth family protect them from Lena's diabolical lust for vengeance? This first-ever republication of Michael McDowell's chilling classic of revenge features a new introduction by Christopher Fowler and cover art by Mike Mignola. I read this book because R.C. Bray is the narrator and for no other reason and I am glad that I did. This is not my typical type of book, so I am glad that I ventured out a little from my listening comfort zone. This book isn't a murder mystery or who done it or anything other than a story being told to you and I liked that. It is very dark and you will really dislike some of the characters, but that made it even better. Instead of rooting for the hero like in most books, I found myself rooting against the socialites. 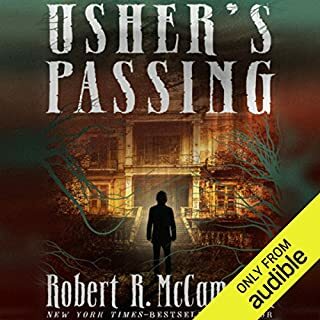 The author did a fantastic job at describing each person and each scene and painted me a picture in my head of how the city looked and I could actually imagine watching this instead of just listening. Few authors have done this for me. 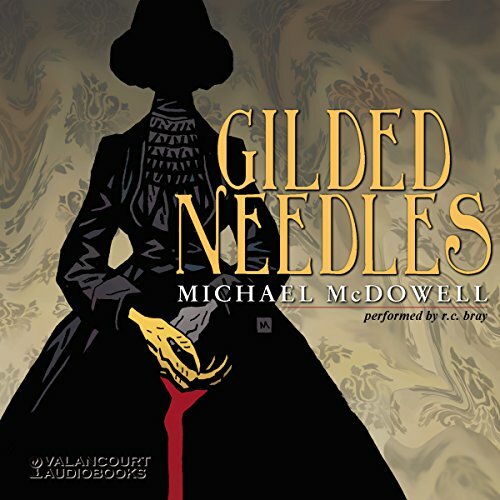 The story itself wasn't the greatest that I have ever heard, but his style along with the narration made this a very easy listen that kept me interested from start to finish. The story had no real hero and no real twists, but it is very entertaining and maybe it's just the comfort of listening to R.C. Bray, but it seemed much more than that. You will have to listen to understand or maybe it's me that is just understanding, but I will look for more books like this when I want to take a break from my normal science fiction/fantasy books. Let me preface this review up front by stating this is not a tale I would typically search for (not one of my genres of choice). I stumbled upon this book as it was narrated and recommended by R.C. Bray through his Facebook page. 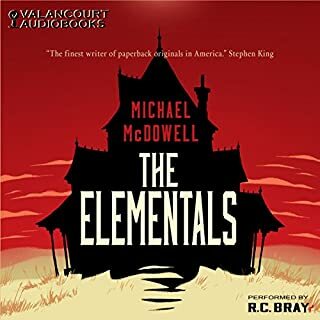 Bray also narrated Michael McDowell’s other novel “The Elementals”. Needless to say, as I was a fan of the first novel and I am also a huge fan of Bray’s, I gave this one a shot. The book takes place in the mid-1800s and tells a tale that, as much as I would like to believe the opposite, probably still holds a strong basis in reality today. The Stallworth family, led by the Judge himself, holds a key role in the city while the Shanks family pursue multiple criminal endeavors from illegal abortion to the pawning of stolen merchandise in a lower end of town. Judge Stallworth presents an opportunity to boost the name of his firm while setting up a chance to ensure a future role for his close family. This opportunity presents itself as a huge news story which is based on the exploitation of families in the slums. Needless to say, this entire plan backfires when one of the Judge’s own becomes entangled with Maggie Kizer and sets in motion the receipt of funeral notices addressed to each member of the Stallworth family. The investigations being conducted in the Black Triangle are used as a way to create a bigger news story than really existed. The intent of these investigations was to bring about trials which would be handled by Judge Stallworth himself. When Maggie is sentenced to death, a confrontation occurs in the Black Triangle which leads to the previously mentioned curse being placed upon the family. One by one, members of the family begin to encounter their fate. Some of the moments which struck me as memorable throughout the book included the nature of the trial for Maggie Kizer. Given the plot set out by Judge Stallworth, her fate was already sealed well before the trial started. Again, tying back to one of my comments above, I wish I could say that I didn’t believe this happened as frequently as I feel it does in the modern day. Likewise, the way Duncan turned his back upon Maggie left me feeling angry as he tried to justify his actions against her. Her reactions upon learning this news really hit home and was one of the stronger emotional moments in the book. Later in the book, we get to see the Judge shifting blame for the entire situation over to Duncan and his affair with, and concealment of the relationship with, Maggie Kizer. Again, this was a very emotion provoking scene and I found myself quite angry as it was occurring. Overall, I feel this book merited a 4/5. It took quite a while to get to the meat of the story (6 hours into the audiobook) where the curse was issued. The buildup was good, but I feel it was drawn out at points. Bray was a fantastic narrator (as usual) and his vocalistic talents really shown through in his various accents. The slow up-take aside, I would recommend the book to others. It is a great tale and continues on McDowell’s ability to craft some truly emotion-provoking scenes. Great writing, intriguing characters, and a cringe-worthy retribution plot. I loved it! 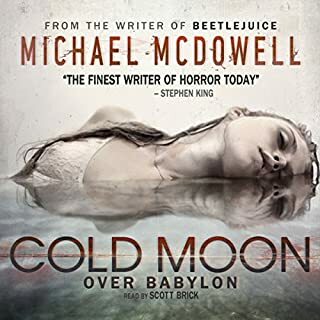 I'm checking if Michael McDowell (author) & R.C. Bray (reader) have any other books on audible. So macabre! Anything R.C. Bray narrates is fantastic and this book is keeps you hooked! A well written and haunting tale of revenge and hipocrisy. Every word was careful and planned. Excellent performance! This book is fine, but if you come in expecting the fright and interest associated with Blackwater, you’ll be disappointed. Still, it’s not bad. Who doesn’t like Rachedrama? 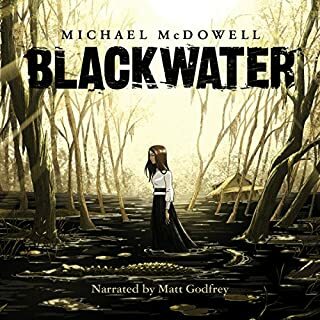 After I discovered Michael McDowell I have been binge listening to his stories. He can really write an interesting story with full characters. Don’t be messin’ with the Shank family. Seriously. Listened to this one on audio and dug it. The narrator did a great job. It was a little slow going in the beginning but found its grove in the later chapters. Written very well, this one is pretty dark and the language reminded me bit of John Connolly’s Matthew Corbett’s series. That’s a good thing, btw. Don’t be messin’ with the Shank family. Lessens you want to get a party invite with your name on it. You don’t want that. Seriously. Wasn't a horrible story. could have done more with it. The performance was a little lacking. I was a little disappointed that the blurb basically tells the entire story of the book – it’s not a prelude, it’s literally a full summary of the entire story. This kind of ruined the book for me, making it seem predictable and hollow. This is a real shame because the story itself was really good and well written. I’m sure it would have been much more enjoyable without the pre-expectations, adding a bit of suspense. 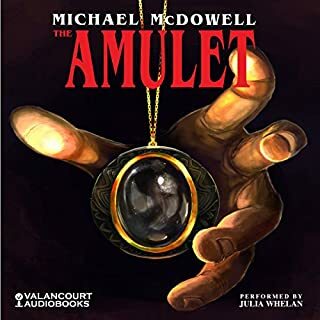 Thankfully, R. C. Bray’s excellent narration is always a wonder to listen to and that really helped a lot, saving the experience from total disappointment. This was a truly dark story about revenge in 19th century New York. A harrowing tail of how things were in those times where everything was based on power, class, money, greed and violence. This story transports you to a time you would not want to have lived in regardless of class, rich or poor - in America both were pure elements of evil it seems according to the author. This is an amazing story and the deceptive nature transports you to this time, but be warned if you have a strong imagination you'll get a little depressed with the scene, story and dialogue the author conveys - but of course only RC Bray can bring it all to life. 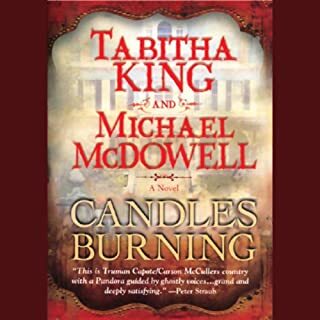 A must read for anyone interested in dark stories of revenge especially in 19th century with an author that has the ability to transport you there. Match made in heaven. Thoroughly enjoyable listen. I first came across this pairing in 'The Elementals' which I also highly recommend.